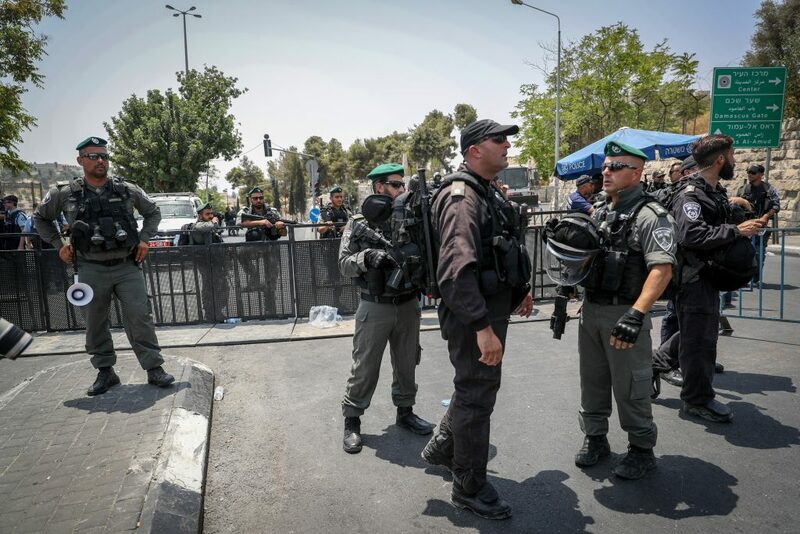 Police have decided to leave the security measures placed last weekend at the entrances to Har HaBayis – including body scanners and metal detectors – in place, after a late-night decision in which the Security Cabinet left the final decision in the hands of police. In addition, police will permit entry to Har HaBayis only to individuals age 50 and older, as security officials undertake what they called “unprecedented” steps to ensure that Friday passes peacefully in Yerushalyim. However, the action Friday morning is likely to take place off Har HaBayis, as tens of thousands of Arabs are expected to converge on Yerushalayim to protest the placement of the security measures at the entrance to Har HaBayis. 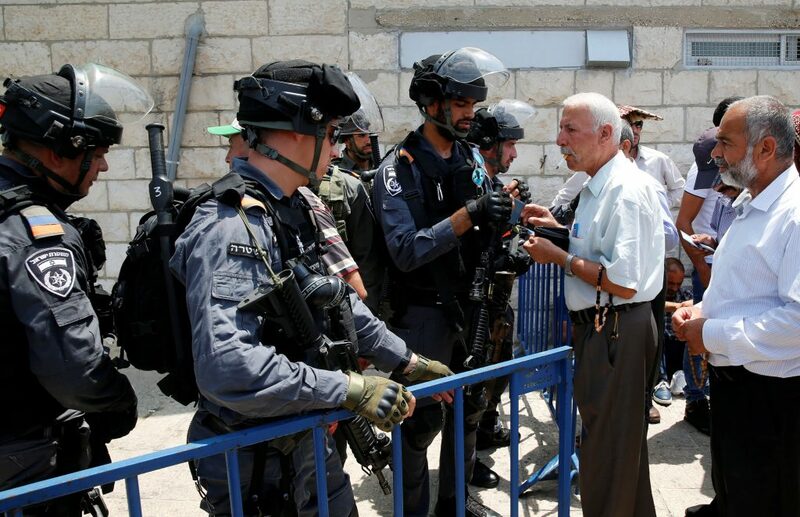 The Waqf has called on Arabs from around the country to protest at the entrance to Har HaBayis – but not to enter the compound as long as the security measures are in place. The Waqf has called on mosques throughout Israel to cancel services Friday and instead attend the protests, and officials say they expect tens of thousands of Arabs from around the country to converge on the Old City. As a result, thousands of police and IDF soldiers are stationed in and around Yerushalayim. In addition to leaving the Har Habayis security measures in place, police are banning entry of Arabs under 50 to the compound, while Arabs under 50 who are not residents of the Old City will be banned from entering Friday as well. All streets in the area of the Old City are closed as well. 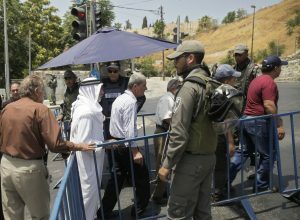 Early Friday, police halted several buses filled with Arabs who were on their way to the Old City to participate in the protests. Police sent the buses back to their points of departure in northern Israel. Dozens of Arabs were injured in riots Thursday night in the area of Har HaBayis, with protest prayer sessions held outside the entrance to the site. Police used anti-riot measures to break up the crowd.